HOW CAN YOU DO IT ON 11.50 PER ? how is you to day. I’m fin. it is just like you and old. gay. 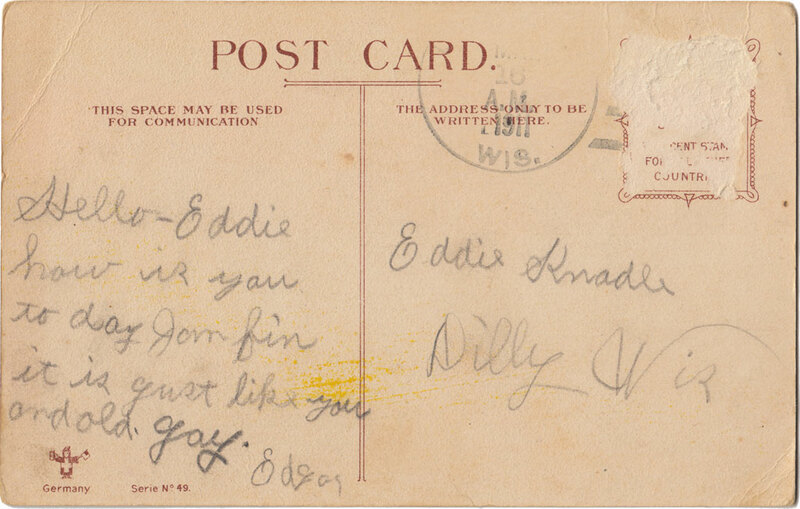 With a birthdate of 1895, Eddie would have been 16 years old when he received this postcard. 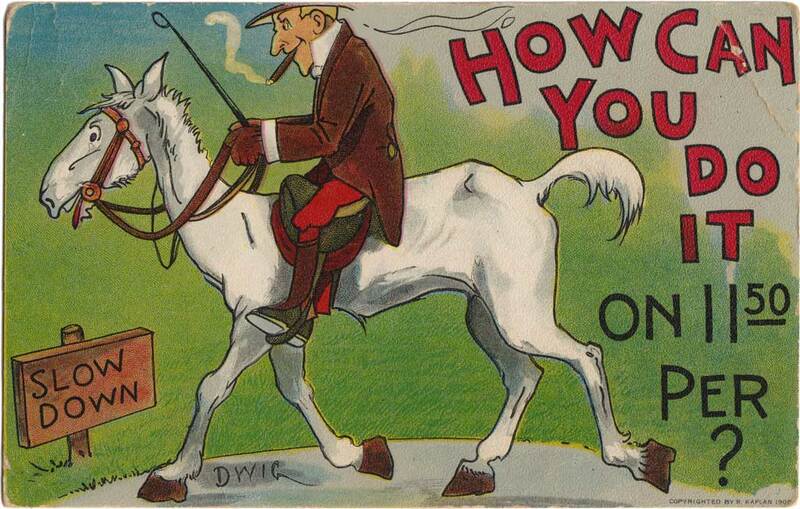 MAR 16 A.M. 1911 WIS.
Production notes: Chromolithography, Germany, Serie No. 49.